How many people look in the mirror every morning and feel unworthy, not pretty, fat or just inadequate? These ladies didn’t know what to expect at first but then they realized the mirror started talking to them. It also showed them personalized messages from their families and friends reassuring them just how appreciated they are. I believe this also applies to men as well. Women are just more outward in sharing their feeling however trust me in the fact that men feel the same. Watch their reactions as the scene unfolds below and tell us what you think in the comments. Video credit goes to The Mrs. and a big shout out of thanks for making us aware. 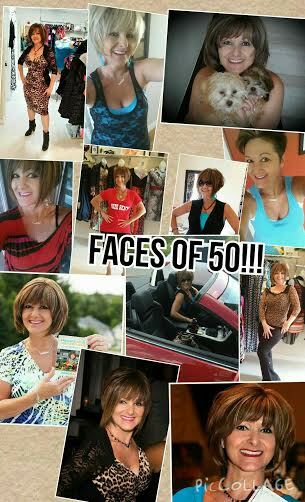 Feeling Fabulous, Fit & Fantastic and FIFTY!! Turning 50 is a big deal or so people say. I must tell you I do not feel a day over 30 so I guess when I say 39 and holding it's true. 50 is just another number, however it does make you stop to think for a moment about where you are in your live, where you have come from and where you are heading. I guess it's important to stop for a moment to make sure you are on the right track. After all we all will be living to 100 these days so this is the half way point. Living my dream is a big part of turning 50. I am grateful for all the people who have been with me during this journey of working Fabulous, Fit & Fantastic Living full time and for your continued support & inspiration on everything I do. My Card "There Comes A Time" is distributed world wide, and my book is now going across Canada helping women in Shelters. The new show Living a Balanced Life is in Production as well as speaking engagements which I couldn't get to working for someone else. This is for sure a time of Celebration. Not just because I am turning 50, but because Life is Just Beginning. Thank you everyone for all the Birthday Wishes and taking the time to send me emails and notes. Feeling forever Fabulous and Joy filled. All you have to do is guess how many awesome, delicious, fruits & vegetables there are in this photo. 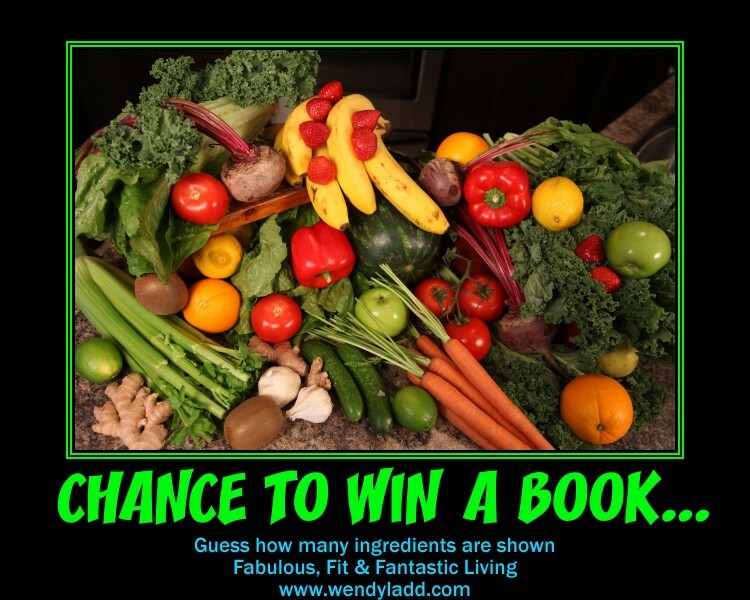 Enter the number on our Fabulous, Fit & Fantastic Living Face Book Page and your name will b entered into the Contest. Remember to Never Ever Give Up on Your Dreams. 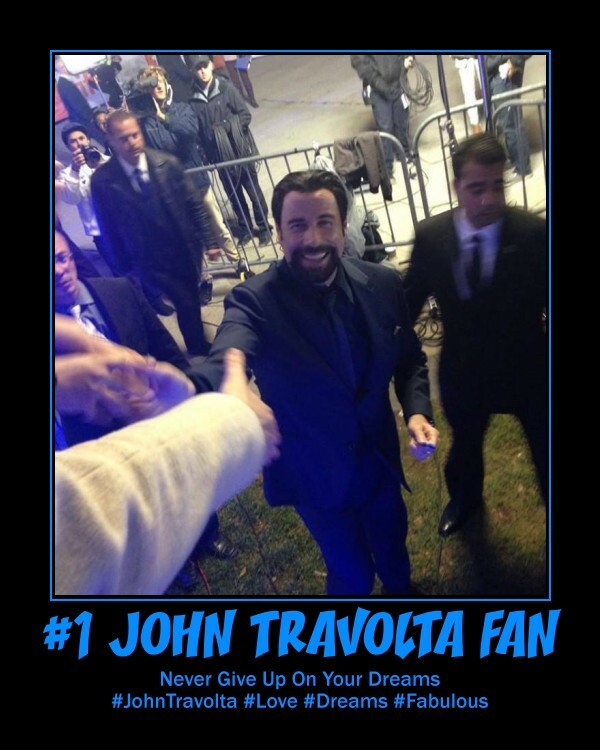 As a huge fan of John Travolta since I was a little girl I would dream about the day I would get to meet him. June 4, 1999 that dream became a reality, totally unexpected, thanks to City TV. Never in my wildest dreams would I imagine that I would be chosen amongst the crowd to be one of the 3 people to look him in those baby blue eyes and to ask an interview question, shake his hand and get an autograph. I was not prepared for what that day would bring me so I had him autograph my makeup bag. Within the same year I was blessed to meet him again at City TV and this time I was prepared. The Producer called me and told me the time and date he would be there. I brought everything I owed regarding John Travolta, albums and magazines, and had it all autographed and took photos. They interviewed me on the 6pm news as the craziest fan. I have the video to reflect on and it satisfied my fan fetish. Needless to say 15 years later my BFF tells me John Travolta is at TIFF 2014. Hours upon hours I wait on the line to try to get tickets. 5 days later finally 2 tickets are available. I get to go to the Premier Event of his movie and last minute get picked for the Red Carpet Ultra Pass by Theresa Longo. How does this all happen? I never ever gave up on my dream to meet him. I always believed it would happen. For whatever it is you wish for in your life, you must believe it will happen. You must see it in your mind, for it to become a reality. You might think it crazy of me with my dream however whenever I see his photo or a movie to just doesn't represent John Travolta. It represents a little girl who had a dream... and that dream became a reality. Not once, Not twice, but 3 times now. I am still holding out for a Selfie of the two of us together, so maybe it will happen at the Grammys when I am there. Who knows... Tomorrow is a new day... Tomorrow is a new day to live your dream!!! I had the most upmost pleasure attending this event with my friend Stefanie Augusteijn from SexyPlus Clothing in Mississauga. She won the 2014 Body Confidence Canada award which is so very much deserving. Stefanie spends most of her day helping women accept and appreciate their Curves, me included. She has a fabulous way of brining out the best in you and for you to see yourself as Body Beautiful. Stefanie has encouraged me to show off my curves, and celebrate in them, which I am definitely doing. A huge thank you to Stefanie for all that she does to bring out the best in people. A HUGE THANK YOU to all of you who have supported my journey. Awareness with a campaign called Healthy Balance - Shelters 2014. We need your help. Please read, watch the video, and share this link with as many people as you can. Since the kids are all back to school I thought I would repost this video of the Avocado Medley. It's quick and easy to make, and full of nutrition. It's also the perfect alkaline snack and not just for kids. Take some time to make it and enjoy! I welcome your comments as well.